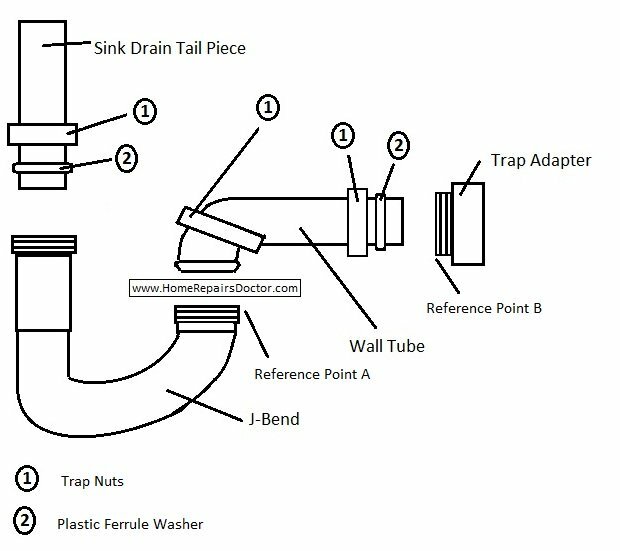 The kitchen sink traps primary function is to retain water to block sewer gases from passing through the plumbing drain pipes into the air. Kitchen sink traps and drain components associated with kitchen sinks are 1-1/2" in diameter. There are two materials that kitchen sink trap and bathroom sink traps and there other components are made of, these would be plastic and light gauge steel. Tools required for installing a kitchen sink trap is a pair of channel-lock pliers, hacksaw, and plumbers pipe dope. Traps can rotate three inches to either side to align with the trap adapter.